Back in the 1970s the concept of punk was codified into a strict set of music, fashion and lifestyle parameters that were inherently limited. According to these parameters, you were either a punk – a white teenage boy in a safety-pinned denim jacket thrashing about on a guitar with three chords – or you weren’t. Today though, punk is something else. It’s about doing it yourself. It’s about casting notional rules aside. Totally – for that is their wholly SEO-unfriendly, nineties Valleyspeak moniker – might not be the loudest or most aggressive band you’ll ever hear but make no mistake, they’re about as punk as it gets. 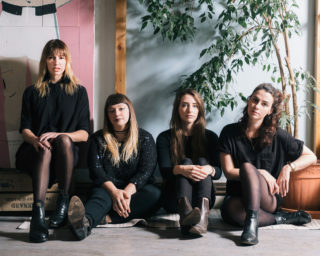 A group of five girls in their late twenties and early thirties from disparate parts of the country (or in their drummer’s case, the world), the quintet came together in August of last year. This despite the fact that their vocalist had never sung before and their bassist had never previously played either. 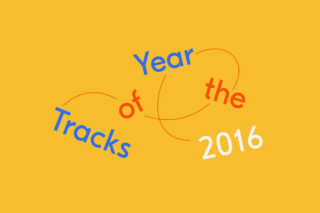 The band’s origins also lie within the heart of the London DIY scene. 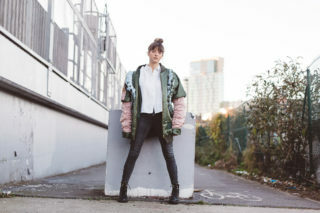 Jade – said rookie singer – had been a part of the community at least on a supportive basis for quite some time prior to getting started with Totally, cheering on her favourite bands and generally getting involved. She and guitarist Laurel had lived with Lindsay Corstorphine, a member of Sauna Youth along with innumerable other punk acts. Jade and Laurel linked up with lead guitarist Fliss before recruiting Australian import Susan after watching her play with singer-songwriter Pete Astor at an in-store appearance. Novice bassist Franny rounded out the line-up. 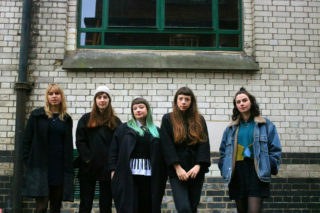 The group more or less coalesced around a former music venue called Power Lunches over in Dalston, followed by DIY Space in Peckham, south London, but they were sure they wanted to distinguish themselves. Within six months of forming, the group recorded four songs with Corstorphine, which then found their way on to 100 CDRs thanks to some thriftiness from Susan. A couple of them are on Soundcloud. 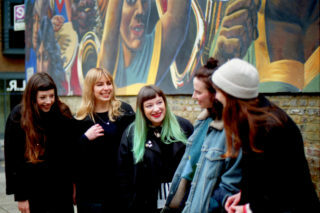 The tracks are a promising glimpse of the band’s lush, melodic take on lo-fi punk and also capture some painfully honest lyrics from Jade about a recent break-up. “You’re just a moonlit memory,” she sings on one. “Oh God, I love him,” she wearily admits on another. Both Jade and Laurel were deeply heartbroken from respective relationship failures around the time Totally got together. “At the time I didn’t have a proper job and I couldn’t afford my rent – my rent’s really cheap – and this person had broken up with me. They’re still very much in my life but it was kind of trying to work through that,” Jade recalls. “We were bonding,” laughs Laurel. The band say they were worried when Laurel got a boyfriend and I think they’re only half-joking – the best art is borne of pain and all that. One of the demos was called ‘Falling Apart’, which the band have now re-recorded and released as their new single. Like the others, the song chronicles Jade’s relationship woes but the new version is a far more polished affair, with the singer’s lovelorn vocals backed by lush harmonies, jangly guitar and sweeping organ. “So if you’re going to sail away from me / Come back and set me free,” pleads Jade. 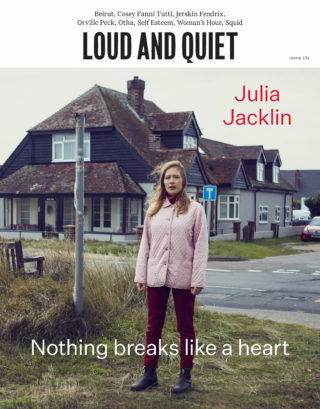 Indeed, if a lot of punk music comes from a place of white-hot anger and frustration, Totally are unabashedly romantic, recalling doomed romances, longing and loss. 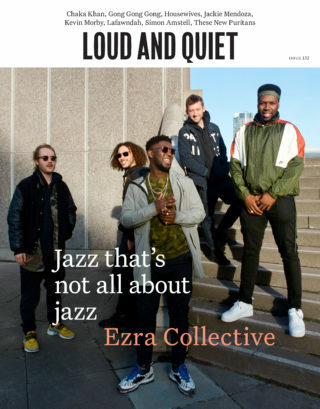 A recent Loud And Quiet profile even referred to their new single’s ‘R&B harmonies’. 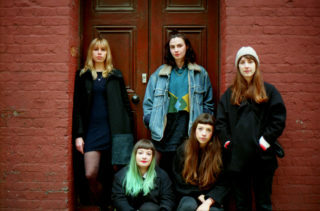 At least part of that comes from the band’s stylistic reference points; Jade holds Stevie Nicks of Fleetwood Mac and Mariah Carey in very high regard – atypical influences for your average punk band. “I love both of them so much,” she gushes. The band members also have an assortment of jobs, ranging from book publishing and PhD art production, through to charity advertising, speech and language therapy and working in a library. 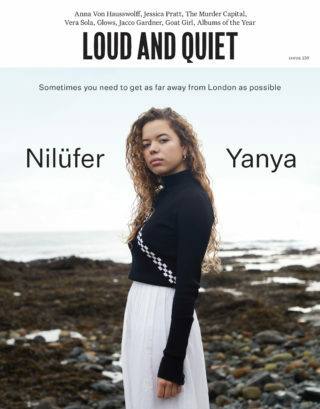 Yet they’re still squeezing in one or two gigs a month, albeit also trying to avoid some of the pitfalls that might derail other new acts – the experience of people like Laurel helps in this regard. “People will get in touch and be like, ‘We want you to play at these shows, you have to bring 50 people’, and it’s like, hmmm, no,” she says. Fliss adds: “In my career as an artist as well, I’ve kind of been able to apply that to this. There are always people trying to take advantage of your creativity. Always! 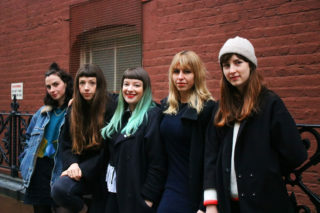 I think you can be naïve sometimes and think something’s a good opportunity and it’s not, so you’ve just got to be really careful.” To that end, the five have teamed up with indie gig promoters Bird on the Wire (“I think they should be held up as a good example,” Laurel notes). “Then you remember Debbie Harry was 32 when Blondie started!” says Laurel. To that end, the quintet has already entertained discussions with a sizeable indie label but they’ve got the confidence to move on without them, for now at least. Next year there’ll be more shows. Hopefully the album is on the way, too; decisions are yet to be made on production values, or indeed a label, but the time is right, says Fliss.